8th Pass, HSC/10th with ITI, 12th Pass. Graduate/ post Graduate or Bachelor’s degree. PG or CA/ ICWA or MBA in Finance. MD. M.Ped finishes candidates are eligible to apply for the GGU Bilaspur Non Teaching Jobs 2017. Other Posts: Skill test/ written test or Interview. For the contract based posts: Rs.16420 to 68440/- per month. SC/ST/PWD Category applicants: No Fee. Applicants have to refer the official website www.ggu.ac.in to take the copy of the application form. Enter all the required details in the form and affix a self attested recent passport size photo. Also, enclose the following with the form. Write as “Application for the Post of_________” on the top of the envelope. It is the responsibility of the candidates to submit the documents to the office of “Registrar, Guru Ghasidas Vishwavidyalaya, Bilaspur (CG)” through registered or speed post. GGU Jobs 2016 Notification has issued recently to fill 146 vacancies. The candidates who are interested and eligible can attend the interview. The interview process starts from 25th July 2016 to 31st July 2016. The official notification has released on 12 July 2016 in website www.ggu.ac.in. Guru Ghasidas University Recruitment 2016 notification has released to recruit 146 Assistant Professors. Some of the people will have the dream to secure the Government jobs in Chattisgarh. For those people, it is the great opportunity to get the job. So, utilize this GGU Jobs to secure the government job in Chattisgarh. The interested and eligible candidates can apply for this job. The educational qualification for the candidates who want to apply for GGU Recruitment should complete PG with minimum 55% aggregate. The selection process for this job is an interview. The eligible aspirants can attend the interview from 25th July 2016 to 31st July 2016. The official notification about Guru Ghasidas University Jobs has released on 12th July 2016. Keep visiting our website to know the latest employment news. The pay scale for the candidates is Rs.25000/-. Scroll down the page to know the brief details like Educational qualification, age limit, categories etc. For further details go to the official website www.ggu.ac.in. 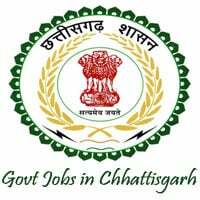 If you want to know any Government jobs in Chattisgarh visit our website. Guru Ghasidas Vishwavidhyalaya is one of the oldest and largest institution located in Bilaspur. It was established under Central Universities Act 2009. Also called as GGU (Guru Ghasidas University). It is located in both Chattisgarh and Bilaspur. The educational qualification is different for each category. The candidates who want to apply for GGU Jobs should satisfy the below conditions. In Teaching and Research Industrial. Master Degree in appropriate branch. Post graduate Degree ( M.Ed./M.A. Education ) with min. 55% marks. Any other qualifications prescribed by UGC like NET qualification. Post graduate degree with minimum 50% aggregate. Experience for a period of at least 2 years as teacher or researcher in the area of specific disability. The candidates should bring the copies of educational certificates and experience certificate along with the original for verification on the dates of the interview which was mentioned below. The selection process for the candidates who want to apply for Guru Ghasidas University Jobs is an interview. The interview date is different for each category. Let’s see the dates of the interview for each category. The timings are also different for each category. For those details visit the official website of GGU www.ggu.ac.in. The pay scale for assistant professors is Rs-25000/-. Here, we have given the brief details about Guru Ghasidas University. To know the more details you can visit the official website www.ggu.ac.in.